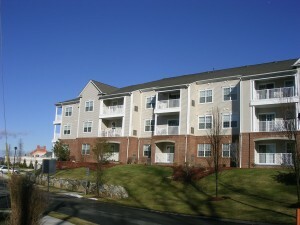 This Andover MA Condominium built in 2004-2005 by nationwide homebuilder Pulte Homes is an 80 unit garden style condo complex located at the intersections of Route 114 and Route 133 at 170 Haverhill St Andover, MA 01810. These condominium Units range in size from a 4 room 1 bed 1 bath 932 sqft unit up to a 1500 sqft 6 room 2 bed 2 bath units. 9ft ceilings with hardwood floors in most condo units, elegant moldings and detail work abound. Kitchens range in size and quality from basic materials to upgraded cabinets, appliances and countertops. Master bedroom suites include a large walk-in closet and some condo units have tray ceilings and recessed lighting options. All condos are heated by 1 zone forced hot air and are cooled by central A/C. Parking is a mix of underground deeded garage spaces and outside common area parking depending on the unit purchased. Professional offsite management handles all the exterior condominium maintenance and the condo fee includes: Water, Sewer, Master Insurance, Exterior Maintenance, Landscaping, Snow Removal, Extra Storage, Refuse Removal, with a typical condo fee ranges from $225 for the smaller units to $300 for the larger units. 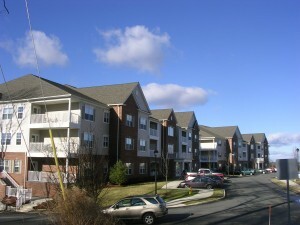 Close to local shopping, amenities and access to Rts 495/93 & Commuter rail and pets are allowed.